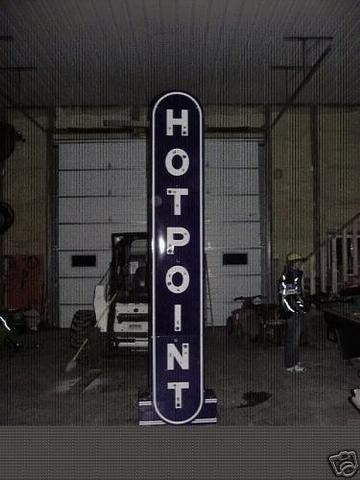 This tall Hotpoint Appliances sign is 120″ tall and 30″ wide. The sign is navy blue with white text. The sign is a double sided neon sign.